When you begin to remember, new recollections follow one after another. Miss Terri’s real name was Maude Carey. If you look at Amazon’s offerings, there’s a book by Evelyn Stenbock, entitled Miss Terri! : The Story of Maude Cary Pioneer GMU Missionary in Morocco, which I bought and read long ago when I was a graduate student. It was published in 1970 by the Back to the Bible Society. While it provided information on her life, I did not find it very interesting. I wanted more information about Sefrou. Wikipedia has an article about Maude Cary. She died in 1967, the year I joined the Peace Corps. Al Jessup and Gaylord Barr. 1968. Gaylord and I knew her successor, Al Jessup, but never witnessed what he did. He liked to fish, and was friends with a French merchant who sold sporting goods, and spent a lot of time fishing. The rainbow trout fishing was great in the eastern High Atlas, not too far from Sefrou. And there was always fishing for European pike in the Middle Atlas lakes close by. I think Mr. Jessup had a Land Rover. Mr. Jessup probably wrote us off as poor Christian souls who had lost our way. He and his wife were kind, and invited Gaylord and me to have Thanksgiving dinner with them in 1968. There are a couple of pictures of Mr. Jessup. One is with Gaylord Barr on a trip to Azrou where there was a leper colony. The trip was memorable for two reasons: first, because it was the first time I had ever met anyone suffering from the disease of leprosy, and second, because the weather was icy on the trip over from Sefrou, and, Gaylord, who was driving, lost control of the Peace Corps jeep in a sleet storm somewhere along the main highway on one of those long flat stretches before Ifrane. I was in the back, which had no seats, and as we spun around on the road, I worried about a big truck approaching from the south. We slowed and slipped into a shallow drainage ditch and the jeep tipped over on its side. None of us were hurt, the jeep was undamaged, and the truck crew stopped, and helped us right the jeep, a little short wheelbase model with a canvas top, and we were off again to the leper colony, not injured but a little shaken. Gaylord took this as a sign to slow down! Mr. Jessup probably saw it as Divine intervention. 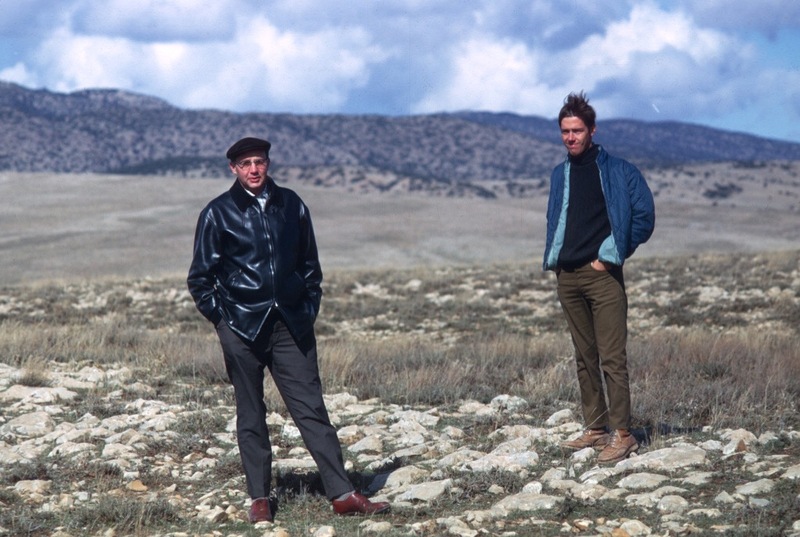 Our Peace Corps group was in Morocco at a time when things were changing. The French presence was still strong, but career bureaucrats were retiring from Moroccan posts. In the short time I was there, the church in Sefrou, high above the Ville Nouvelle, was open for Sunday services, then shuttered, and finally sold and used for another purpose. French coinage, in denominations of francs and in the name of the Empire Chérifien, were still in circulation. I still have some of the old aluminum 5-franc coins, worn almost flat. Franco still ruled Spain. And both DeGaulle and Johnson were presidents when the Morocco X group landed in Rabat. As a Peace Corps volunteer, with a lot of time to read, I sometimes went to the Christian bookstores. While I was briefly stationed at a Centre de Travaux Agricoles (CT) on the main route south out of Meknes, the shop I visited was La Bonne Nouvelle in Meknes. There was also one in Fes on Mohammed V. It was run by a pleasant Englishman and his Moroccan assistant. I still have a copy of Huxley’s Mediterranean Wild Flowers, which I bought there and enjoyed and looked at often. The Peace Corps office in 1968 or 1969. 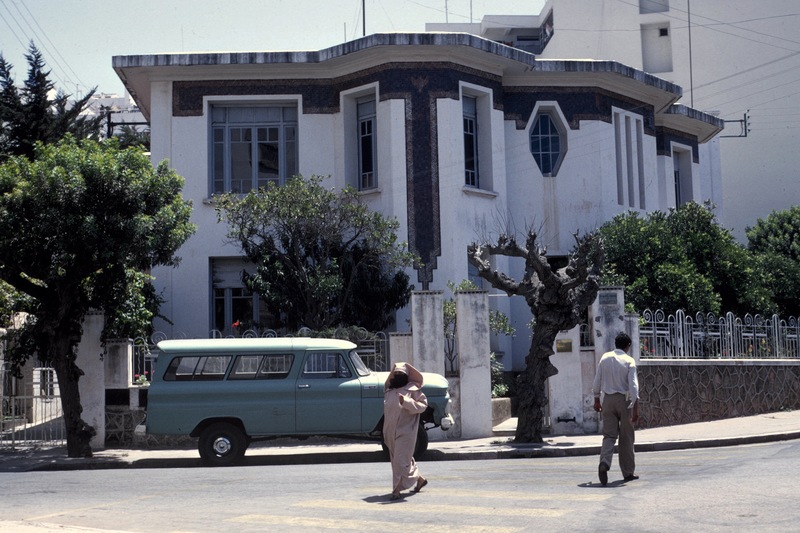 And speaking of changes, the Peace Corps office, which I think had been next to Aeroflot office, had been moved to Rue Van Vollenhoven, in the heart of Rabat. Great location, with plenty of room, but sitting on valuable real estate. Before I left, its address had been renamed more appropriately, zanqat Moulay Rachid. Today it is elsewhere.